Bartomeu: "We should play three LaLiga games abroad every year"
The president of Fútbol Club Barcelona believes that Spanish championship matches should be played every year "in America, Asia and the Middle East"
Barça is about to play not one La Liga match per year outside of Spain, but several. This is what Josep Maria Bartomeu said in an interview with the BBC. His position - and by extension that of Barça - regarding the possibility of playing games abroad, is very clear: "We should play several a year". 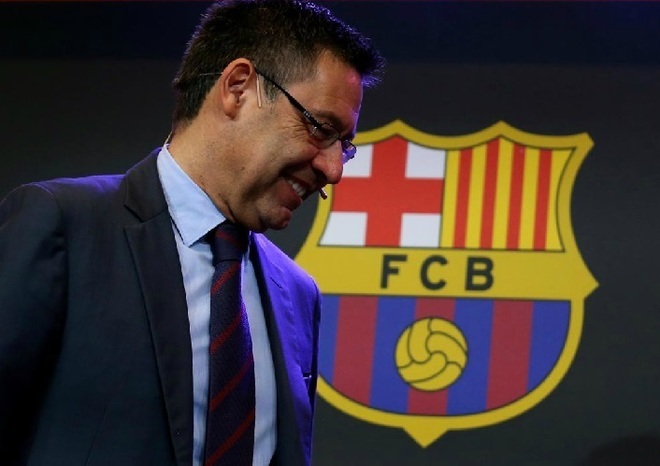 Bartomeu said: "At Barça we have spoken with LaLiga about this and we have told them that if we want to promote the championship more, we should play three games a year abroad - one in America, another in the Middle East and another in Asia, "he stressed. Barcelona Football Club was going to participate precisely, along with Girona, in the first match of the Spanish championship played outside of national territory, that Javier Tebas , president of LaLiga, wanted to be played in Miami on January 27. The opposition of the Federation and the Association of Spanish Footballers put an end to the project. For Bartomeu, it is a gesture towards the fans. "We have to go and be closer to our fans, we do our tours in August and July to be closer to them, it's a way to show them respect." Going to Miami would have been a way to show our respect towards our American fans, "he explained.